It is said that “you can’t manage what you can’t or don’t measure” in a call center. 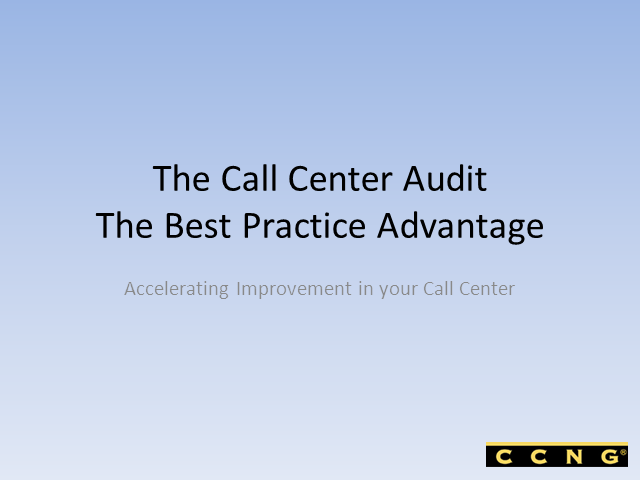 A call center audit can provide great insights into how the center is actually operating, which maybe different than how it is expected to operate. Join Colin Taylor, CEO Taylor Reach Group in this webinar as we examine the call centers alignment to business goals and objectives employing real-world results from more than 600 actual Snapshotz users worldwide. The results and the insights can be surprising!